The periodic table of the elements breaks down the elements that make up our world into their base chemical components. This periodic table of storytelling does the same thing, except for the elements that make up our stories. 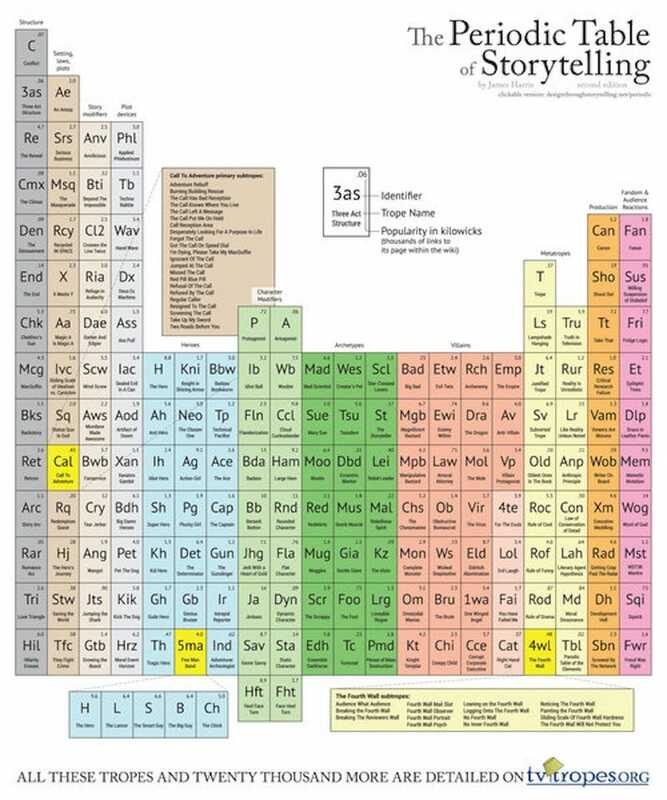 Image: Periodic Table of Storytelling / clickable version James Harris (poster version DawnPaladin). It's the work of James Harris, who took 176 story-telling tropes — ranging from Etw (evil twin) to Ir (no, not Iridium, intrepid reporter) — and organized them all into a grouped table. Have a favorite or a least favorite story-telling trope? Whether it's one from the table, or one that it missed, tell us about it in the comments. Or just break down some favorite movie, television or book plots into some story molecules.